NO PURCHASE NECESSARY TO ENTER OR WIN. SWEEPSTAKES OPEN TO LEGAL RESIDENTS OF THE UNITED STATES AT LEAST 18 YEARS OF AGE OR OLDER ON DATE OF ENTRY. VOID WHERE PROHIBITED BY LAW. 1) SWEEPSTAKES PERIOD: The Skechers Vacation Sweepstakes (the “Sweepstakes”) starts Monday, August 1, 2016 at 9:00AM Pacific Time (PDT) and ends Wednesday, August 31, 2016 at 7:59PM PDT (the “Sweepstakes Period”). 2) ELIGIBILITY: TO BE ELIGIBLE TO WIN, YOU MUST BE A LEGAL RESIDENT OF THE UNITED STATES AND AT LEAST 18 YEARS OF AGE OR OLDER ON DATE OF ENTRY. CONTEST IS VALID FOR RESIDENTS OF THE UNITED STATES, EXCEPT WHERE RESTRICTED BY LAW. The following persons are not eligible to participate in the Sweepstakes: (a) officers, directors, employees and representatives of Skechers USA, Inc. (the “Sponsor”) or Universal City Development Partners, Ltd. d/b/a Universal Orlando Resort (“UO”) or their respective subsidiaries or affiliated companies; (b) persons engaged in, and persons associated with companies engaged in, the development, production, promotion, advertising or running of this Sweepstakes (collectively, the “Promotion Parties”); and (c) each of the foregoing persons’ immediate family members (parent, child, sibling, and spouse of each), as well as persons living in the same household (whether related or not). Any eligible minor must have his or her parent’s or legal guardian’s permission to enter this Sweepstakes. 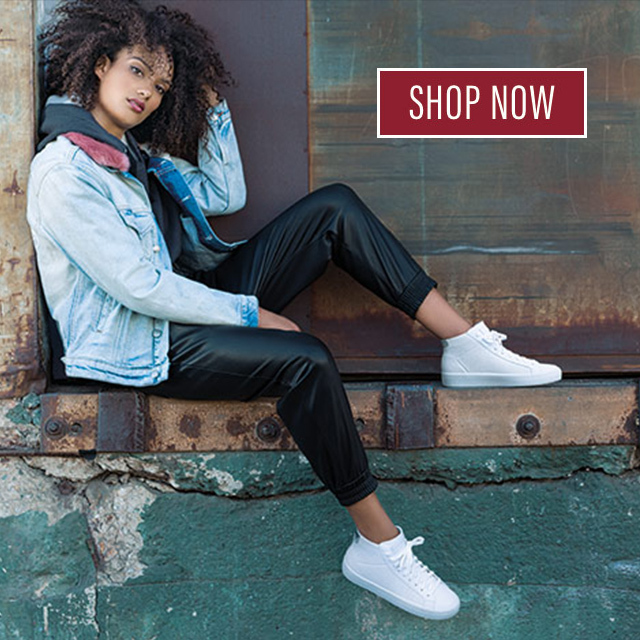 Subscribing to Skechers’ e-mail list. You may instead enter by sending an e-mail that includes your name and e-mail address to the following address: socialmedia@Skechers.com, with a subject line of “Skechers Vacation Sweepstakes”. Proof of submission of entry does not constitute proof of Sponsor’s receipt of entry. All entries become the sole property of Sponsor. Each entry submission must be manually key stroked and manually entered by the individual entrant; automated and/or repetitive electronic submission of entries (including, but not limited to, entries made using any script, macro, bot or sweepstakes service) will be disqualified and transmissions from these or related Facebook profiles, Twitter profiles, Instagram profiles, Pinterest profiles, e-mail or IP addresses may be blocked. Total approximate retail value of all prizes: $4,266.18. Actual value of prize may vary depending on departure date, location, and fare fluctuation. Any difference between the approximate retail value and actual retail value will not be awarded. * For a winner who is a Florida resident, air transportation may be substituted with another method of transportation by UO in its sole discretion. Hotel accommodations do not include meals, incidentals, tips telephone calls, or any other personal expenses incurred during the trip, not specified here. 5) RANDOM DRAWINGS FOR PRIZES/DEADLINE DATES: A random drawing to award the Prizes will be conducted from all eligible entries received during the Sweepstakes Period. The random drawing for the Prizes will be held at about 8:00PM PST on Wednesday, August 31, 2016. The random drawing will be conducted by the Sponsor. Odds of winning a prize depend on the number of eligible entries received. Entries submitted are only eligible for this Sweepstakes. By entering this Sweepstakes, all participants agree that all decisions made by the Sponsor regarding matters relating to the Sweepstakes winners are final. 6) WINNER NOTIFICATION AND PRIZE FULFILLMENT: The potential winner will be notified via e-mail. Any winner who does not respond to notification attempts within five (5) business days will result in prize forfeiture and an alternate winner may be selected at Sponsor’s discretion. Any winner notification returned as undeliverable without a forwarding address will result in prize forfeiture and an alternate winner may be selected at Sponsor’s discretion. Certain terms and conditions may apply to gift cards or online codes, see gift card or e-mail delivering online code for details. The potential winner and his/her guests may be required to sign and return to Sponsor an Affidavit of Eligibility with (where lawful) a liability and publicity release for receipt by Sponsor by the due date indicated in the notification letter. Within three (3) weeks of the drawing, winner will be contacted by UO’s Promotion Fulfillment Department and winner will be required to fill out a winner’s questionnaire to claim his or her prize. If any required documents are not returned within the required number of days, or if any correspondence is returned as undeliverable without forwarding address, then prize may be forfeited and an alternate winner may be selected at Sponsor’s discretion. The trip awarded is non-transferable and must be completed no later than August 31, 2017 or prize will be forfeited. No cash value for the trip. If winner elects to partake in any or all portions of the prize with fewer than three (3) guests or no guests, the prize will be awarded to winner and each participating guest and any remainder of the prize will be forfeited and shall not be subject to further or alternative compensation. All elements of the prize must be redeemed at the same time and no changes will be permitted after confirmation of any redemption. All guests must be at least 18 years of age or accompanied by a parent or guardian. Travel dates will be arranged by UO and winner must provide UO with at least sixty (60) days notice of requested travel dates. Dates of travel will be confirmed based on availability. Blackout dates or other restrictions may apply as dictated by airline and/or hotel. If winner is not yet twenty-one (21) years of age at time of travel, an adult who is at least twenty-one (21) years of age must accompany winner in order to check in to on-site hotel. Prize consists only of the elements expressly set forth above; no other elements or expenses (including, without limitation, insurance, meals, unspecified ground transportation, phone calls, gratuities, incidentals, souvenirs, gasoline, etc.) are included in the prize and all such expenses are the sole responsibility of winner. Winner is responsible for any air travel taxes and/or expenses, including applicable departure taxes or fees, inspection charges, baggage fees, and security charges. Once issued, tickets are nontransferable and may not be reissued once travel has commenced. Open tickets may not be issued and stopovers are not permitted. Travel arrangements must be made through UO. All tickets are valid during normal operating hours only. Operating hours and availability of attractions and shows are subject to change without notice. Some special events may be separately ticketed. Unless otherwise stated, all tickets specifically exclude admission to special or separately ticketed “hard ticket” entertainment events at either of the theme parks, hotels or within any of the Universal CityWalk venues such as Hard Rock Live® and the Blue Man Group show. 7) GENERAL: Except as determined by Sponsor and/or UO in their sole discretion, no substitution of prize is available, nor is any transfer of prize to a third party permitted. UO and Sponsor reserve the right to substitute a similar prize or prize element of comparable or greater value in their sole discretion. All federal, state or other tax liabilities and fees arising from this Sweepstakes are the sole responsibility of the prize winner. Prizes are not redeemable for cash. If winner chooses not to accept the prize in its entirety, another winner will be chosen. 10) ENTRANT AND WINNER RELEASES: All entrants, as a condition of entry into the Sweepstakes, agree to release Sponsor and the Promotional Parties, and each of their respective parents, subsidiaries and affiliated companies, officers, directors, employees and representatives, from and against any and all liability, claims or actions of any kind whatsoever for injuries, damages, or losses to persons, property or otherwise which may be sustained in connection with the Sweepstakes, including without limitation, accessing the Sweepstakes page, submitting an entry or otherwise participating in any aspect of the Sweepstakes, preparing for, participating in or traveling to and/or from any prize-related activity, any possession, use or misuse of any prize, or any typographical or other error in these Official Rules or the announcement or offering of any prize. By entering the Sweepstakes, each entrant hereby represents that any submissions/posts are his or her own and that he or she owns all copyrights in connection with such submissions/posts and all persons depicted in such submissions/posts have given permission for entrant to submit such submissions/posts and grant the rights and releases granted by entrant herein. Entrant hereby grants to Sponsor a non-exclusive, royalty-free, perpetual, non-revocable license and right to reproduce, use and/or edit all submissions/posts submitted (or portions thereof, including any writings, photographs or drawings) in any manner, including posting or reposting on http://www.skechers.com/ and https://www.facebook.com/SKECHERS?ref=hl or via Facebook, Twitter, Instagram and/or Pinterest, and no such posting or other use shall entitle the entrant submitting such submissions/posts (including any photo) to any compensation of any kind whatsoever. The winner shall bear all risk of loss or damage to his or her prize after it has been delivered. Except to the extent otherwise required by law, Sponsor makes no representations or warranties of any kind whatsoever concerning any prize. Sponsor shall have the right to print, publish, broadcast and use worldwide in any media now known or hereinafter developed (including without limitation online at www.skechers.com and www.facebook.com/skechers or via Twitter) the name, address, entry, voice, statement, picture or other likeness of the winner, without any additional compensation, for public relations, advertising and promotional purposes, as may be determined by Sponsor. 11) WINNERS LIST: To request the name of the winner, available after September 1, 2016, send an e-mail with subject line: “Skechers Vacation Sweepstakes” to socialmedia@Skechers.com. Requests received after March 31, 2017 will not be honored. 12) DISPUTES: The Contest is governed by, and will be construed in accordance with, the laws of the State of CALIFORNIA, and the forum and venue for any dispute shall be in LOS ANGELES, CALIFORNIA; provided, however, that claims for bodily injury, personal injury, or property damage arising out of the redemption, use or misuse of THE TRIP PORTION OF THE prize (“TRIP PRIZE CLAIMS”) must be submitted to the jurisdiction and venue of the federal and state courts of the State of Florida, and construed and enforced in accordance with the laws of the State of Florida. EXCLUDING TRIP PRIZE CLAIMS, If ANY OTHER controversy or claim is not otherwise resolved through direct discussions or mediation, it shall THEN be resolved by FINAL AND binding arbitration administered by JUDICIAL ARBITRATION AND MEDIATION SERVICES, INC., in accordance with its Streamlined Arbitration Rules and Procedures or subsequent versions thereof (“JAMS Rules”). The JAMS Rules for selection of an arbitrator shall be followed, except that the arbitrator shall be experienced and licensed to practice law in CALIFORNIA. All proceedings brought pursuant to this paragraph will be conducted in the County of LOS ANGELES. THE REMEDY FOR ANY CLAIM SHALL BE LIMITED TO ACTUAL DAMAGES, AND IN NO EVENT SHALL ANY PARTY BE ENTITLED TO RECOVER PUNITIVE, EXEMPLARY, CONSEQUENTIAL, OR INCIDENTAL DAMAGES, INCLUDING ATTORNEY’S FEES OR OTHER SUCH RELATED COSTS OF BRINGING A CLAIM, OR TO RESCIND THIS AGREEMENT OR SEEK INJUNCTIVE OR ANY OTHER EQUITABLE RELIEF. This promotion is in no way sponsored, endorsed or administered by, or associated with Facebook, Twitter, Instagram or Pinterest. You understand that you are providing your information to SKECHERS USA, INC. and Universal City Development Partners, Ltd. d/b/a Universal Orlando Resort and not to Facebook, Twitter, Instagram or Pinterest. Universal City Development Partners, Ltd. d/b/a Universal Orlando Resort is a prize provider only in this Sweepstakes; is not a sponsor of this Sweepstakes; and is not responsible for the administration of the Sweepstakes, the collection of the entries or the conduct of the draws.